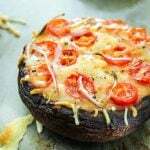 Savory, cheesy, flavorful pizza-stuffed mushrooms! These are incredibly easy to make and customize with toppings of your choice. 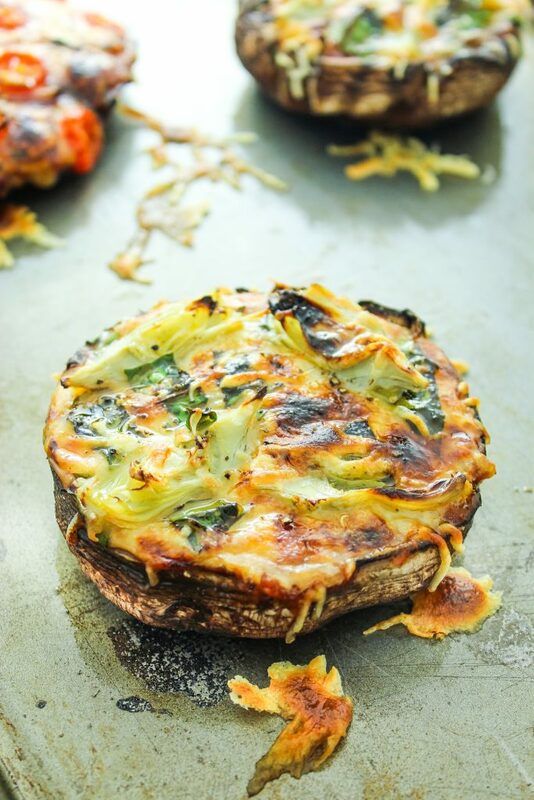 Great healthier alternative to pizza! 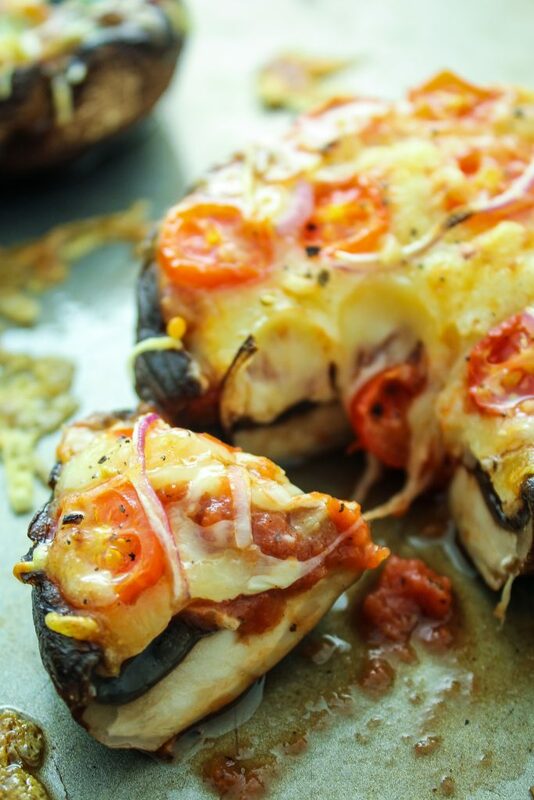 Oh, hello there, portobello mushroom pizzas. AKA one of my favorite things we’ve made in a long time and also one of the easiest! We’ve made these 4 times in the last 2 weeks so I’m going to go ahead and admit that I’m obsessed with them. When you’re staring into the fridge and you realllllly don’t feel like fussing with dinner – these have your back. When you’re ready to just veg out and watch some Netflix – these are dinner-on-the-couch approved. These are minimal effort amazingness. You spread pizza sauce (or alfredo or pesto!) in the portobello caps, add your toppings, sprinkle mozzarella over top (or goat cheese, or parm, or fontina, or just a bunch of veggies! ), and pop them into the oven. 10 minutes later you have delicious, tender mushrooms, overflowing with goodness and ready for devouring. Now, I’m not going to be one of those annoying people that claims – “OMG! It’s better than actual pizza!” or “It tastes just like pizza!” Because let’s be honest, there’s no real substitute for a good, crispy New York-style slice. 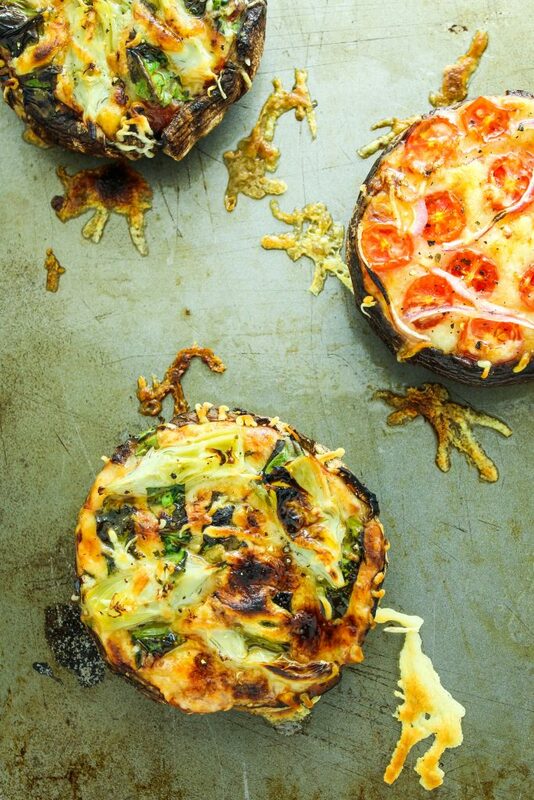 But this is a delicious, healthier alternative that does taste quite a lot like pizza. If you make these, let me know! Leave a comment or tag us on Instagram. I love seeing what you guys create! 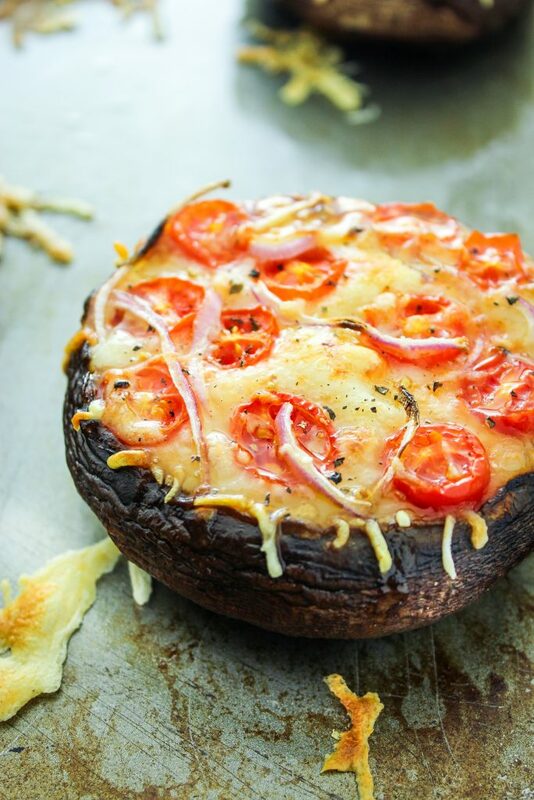 This pizza-stuffed mushroom recipe makes dinner a breeze! These are incredibly easy to make and customize with toppings of your choice. Toppings – Amounts and ingredients vary based on preference! Wash mushrooms and carefully remove the stem. Leave the ribs in tact. Prepare a baking sheet – spray or drizzle with olive oil. Arrange mushrooms on the baking sheet, tops (round side) facing down, and lightly spray or drizzle with oil. Sprinkle salt, pepper, and Italian seasoning onto mushrooms. 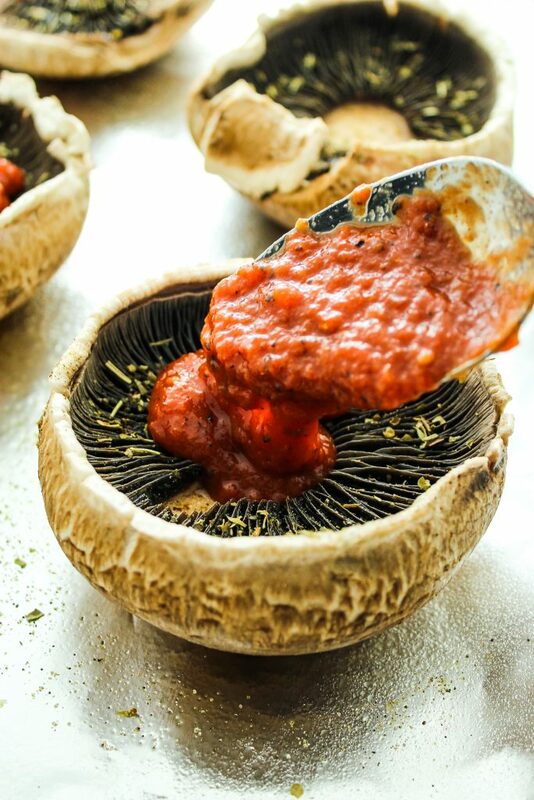 Spoon sauce into each mushroom and spread evenly – using about 2 Tablespoons each. Add cheese – about 1/4 cup per mushroom – and desired toppings.